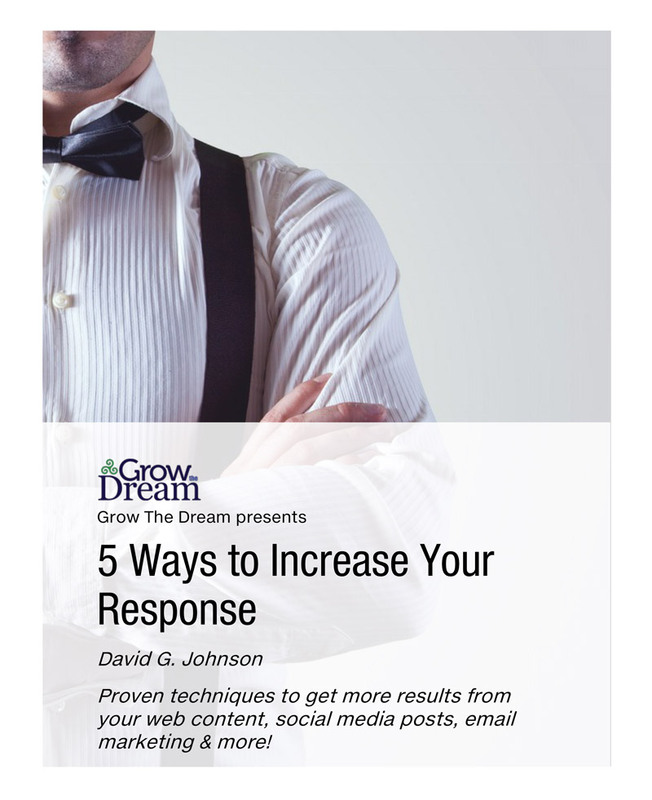 Get More Response… Just by Changing the Words You Use! Learn Techniques That Will Make You More Money! Grow The Dream founder, David G. Johnson, shares insights from nearly 20 years of marketing experiments. Generate more leads, get more clicks, boost your Facebook engagement rate, and more… all with these simple methods!